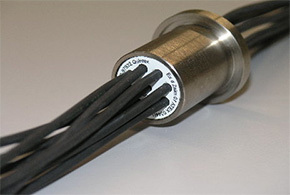 Line bushings are used to electrically connect equipment in potentially explosive atmospheres. The connection is established either between a flameproof enclosure and an enclosure of another type of protection and in accordance with DIN EN 60079-0. Alternatively, two flameproof enclosures are connected. Thus cables are protected from direct contact. 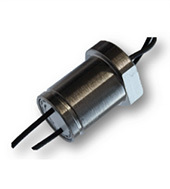 Varying designs, line bushings can be used in intrinsically safe areas for measuring, control or energy limited circuits. Line bushings that do not feature cables, i. e. they are only cast, can be used to seal flameproof enclosures (Ex “d”). also through a line bushing, entries or threads can be closed off and if the system needs to be extended at a later date then line bushings containing cables can replace the existing, sealed ones. The full range is covered by the following organisations. NB. For ATEX we can offer apparatus 'X'-approval, meaning you can use line bushings in existing products without a re-approval of your product. Line bushings are available in two types: screw in and plug in. The default sizes of screw in line bushings range from M10 to M42. If other sizes are required for Ex use then they will require additional certification. With the plug in variant, sizes are adjusted to those of common sockets. An essential feature of line bushings is the high adhesion of cast resin on cables. In this aspect, we do not compromise and Radox cables are high-temperature resistant and proved to be very adhesive and the cast resin used is a certified future-proof cast resin. If our standard application does not cover your requirement, again at indEx and our partners, we can use our extensive expertise to come up with a customised solution which is cost effective, safe, efficient and reliable and also help with industrial solutions such as high temps, pressure etc. 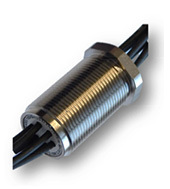 Line bushings are used to electrically connect equipment in potentially explosive atmospheres. The connection is always made between a flameproof enclosure (Exd) and an enclosure with a different type of protection in accordance with IEC 60079-0. 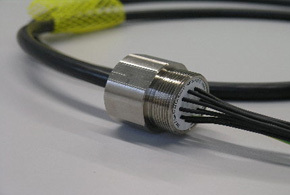 Alternatively, two flameproof enclosures are connected. Therefore the cables are protected from direct contact. Depending on the design, line bushings can be used for intrinsically safe, measurement, control or power circuits, or combinations of the above. All line bushings are cast with high temperature and leakage current resistant resin to isolate them from the enclosure. Ideal for any application. Sensors, measurement devices, motors, actuators, pneumatic and hydraulic devices, etc. Used on Sea-platforms, Drilling Rigs, rolling mills, gas tanks, climatic chambers, compactors, etc.